A fund in memory of an acclaimed stalker, naturalist, photographer and author has been established to challenge worsening treatment of one of Scotland’s most iconic animals. The family of late highlander Lea MacNally, for whom Prince Charles once stalked as mark of respect, has inaugurated a fighting fund to highlight and tackle serious problems facing native red deer. 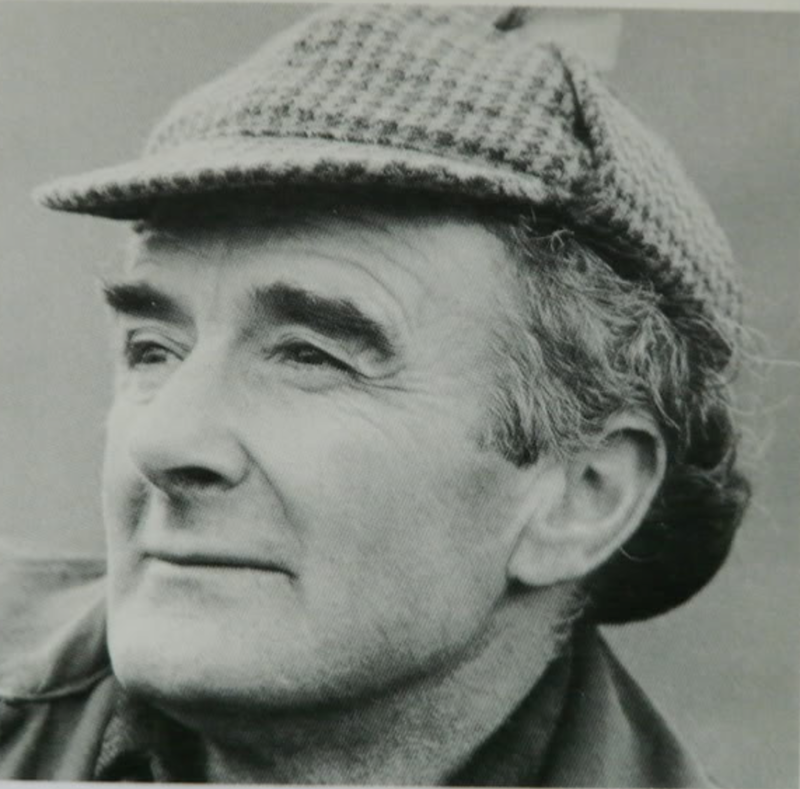 Lea MacNally, who died in 1993 age 66, spent his life championing deer welfare as a stalker, the National Trust for Scotland’s first ranger/ecologist and as an author of 6 renowned books on highland wildlife. He studied winter deer mortality, helped establish the first deer management group, in Wester Ross, and was a Fellow of the Edinburgh Zoological Society. Now his family say they can no longer sit idle, as some of the threats now facing Scotland’s red deer go against everything he worked for in his lifetime. The family’s opening donation to the fund, run through The Scottish Gamekeepers Association, has financed a response to the Scottish Government’s deer management vision, Wild Deer: A National Approach. The work, commissioned to renowned ecologist Dr James Fenton, challenges some major aspects of current central thinking on deermanagement, principally in relation to deer and tree regeneration. In recent years, SNH has approved a growing number of licences to enable deer, including hinds in calf, to be culled outwith the legal seasons. The majority of these applications are for forestry and conservation groups’ pine regeneration schemes, with red deer in some areas being heavily reduced. Deer wandering into regeneration areas, where no fences have been erected to prevent their passage, can be culled for major parts of the year if licences are granted out of season. This has significant implications for neighbouring jobs supported by sport stalking, but also for animal welfare. Lea senior’s widow, Margaret, 85, is pleased the fund has been set up and hopes the powers-that-be listen to people on the ground. An avid observer of nature, photographer and letter writer, Lea was persuaded to write books by a Belgian tenant at Culachy in Fort Augustus where Lea was a full-time stalker. His book, Highland Year (1968) inspired many people to become stalkers/gamekeepers. It was reprinted after his death in 1993. His other books were Highland Deer Forest (1970), Wild Highlands (1972), The Year of the Red Deer (1975), The Ways of an Eagle (1977) and Torridon: Life and Wildlife in the Scottish Highlands, which was published after he died. He loved the life and ways of the highlands. Trained originally as an engineer in Glasgow, he would cycle home on long weekends to Fort Augustus as he did not like the city. Whilst with the National Trust for Scotland in Torridon, he established a deer park and an innovative audio visual installation to teach people about deer and highland wildlife. He was a regular contributor to the Scots Magazine and Shooting Times, writing all his articles in long-hand. Lea (junior), Margaret and Michael MacNally with the acclaimed book, Highland Year, written by the late Lea MacNally senior. The book inspired many to take up gamekeeping/stalking as a profession. Glyn Satterley's picture of the late Lea MacNally. If you would like to support the new Lea MacNally Deer Fund by donation, please contact the SGA Office on 01738 587 515. Funds will be ring-fenced to assist deer projects which require specialist skills outwith those held by the SGA Committee. This is over and above the deer work already undertaken by the SGA. The first investment from the new fund has been to commission the skills and knowledge of respected ecologist Dr James Fenton for the SGAs submission to the Scottish Government's Wild Deer: A National Approach consultation. We will be highlighting this work in the forthcoming edition of Scottish Gamekeeper.